Spring is my favourite! Thanks for the laughs, love that chicken egg one. It is such a wonderful season. Can't wait to see the first flowers rise! I've heard of it but I've never seen it. I'll have to look it up and see where it's available. Thanks for the recommendation! 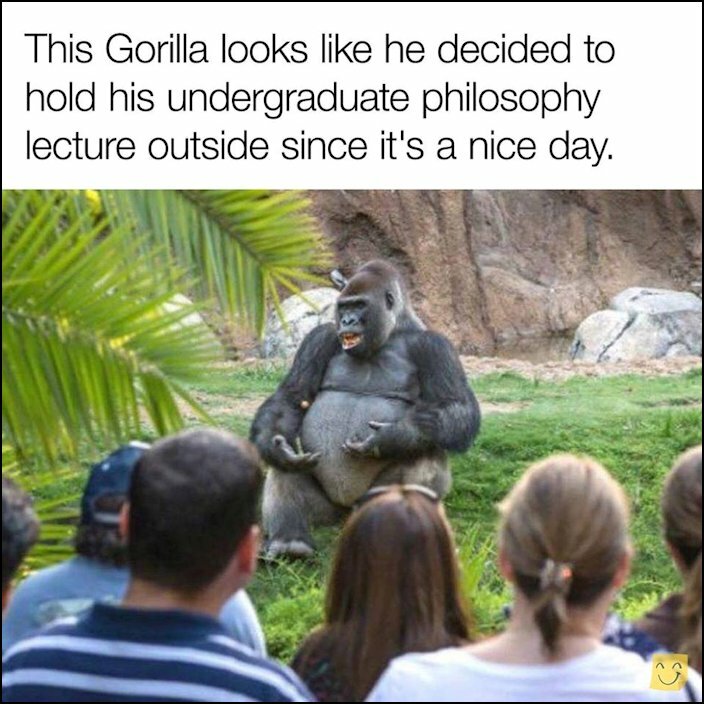 That gorilla reminds me of a math teacher I once had. flat earth - hahaha,, I see this debate everywhere on the internet ....this was one of the best illustrations I've seen lolol..still laughing ...and the cat ...well all of them. I'm looking forward to spring - we are getting out now getting walks which is great - we do have another storm coming in but for us i think we will just get rain - higher altitudes possibly get snow... love spring and FALL which is my favorite season. NOT SO MUCH LIKE for summer and winter. 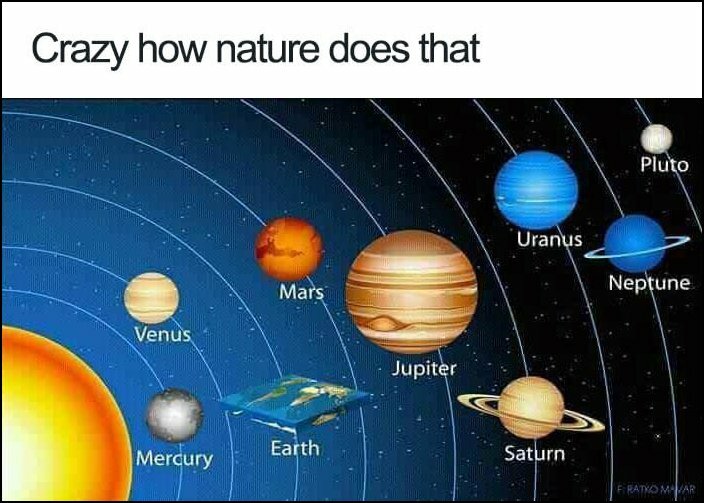 All that flat earth stuff gets me laughing out loud. Why are we still debating this in this day and age? Anyhow, looking forward to spring! We will start taking regular outdoor walks soon. Have you seen Schitt's Creek? I don't care for most shows but this one is available online for free through CBC's website, as it's all-Canadian, and is very good (in my opinion). We definitely saw Schitt's Creek. And loved it! I should check CBC's website and see if we're up to date. We might have missed one season so far. It is such a great show! I felt the same way when March rolled in. No matter how bad March might be, the winter is pretty much done. Apparently, there's a whole "science" and lots of literature to prove the earth is flat. How scary is that? Well, not as scary as our Prez. Have a great week, Martha. 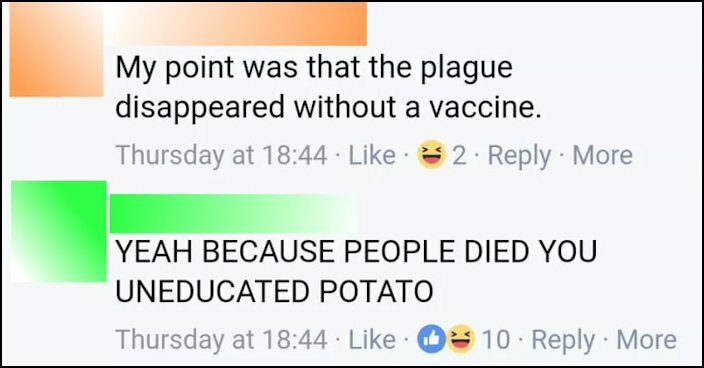 It is quite alarming, Robyn, especially in this day and age with so much science! Hope you're having a great week! That chicken and egg one was a great one! I just finished 13 Reasons Why on Netflix. It was depressing though so if you want uplifting, that wouldn't it. I'm taking a little Netflix break as I can't seem to find anything interesting. I actually read the book, so I might try the series to see if it's similar. Thanks for mentioning it! For those wondering, the egg came first. Had a little 4.6 earthquake here this morning at 6:00 AM but I missed it. Love the cat one....so true! Nice to have you back, Linda! These are all hilarious! 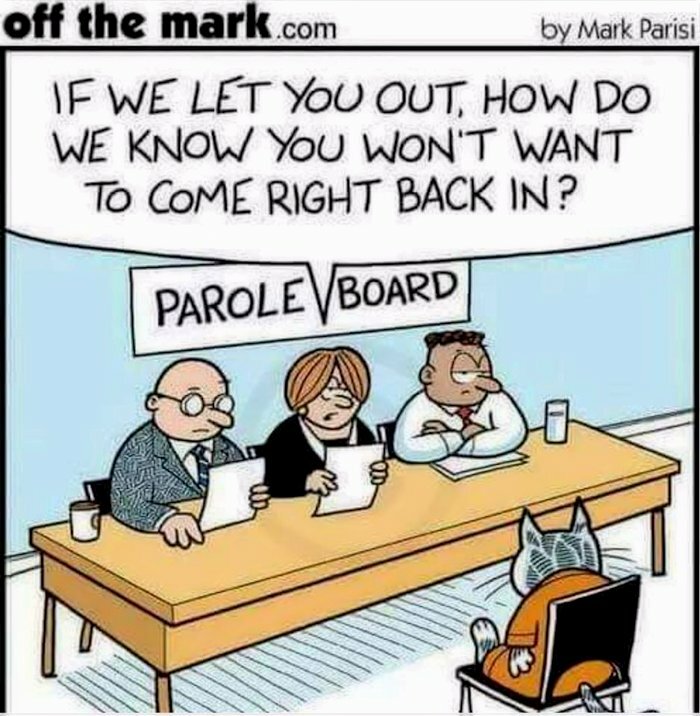 HRH liked the cat parole board one the best, though. Favourite season would be spring as well.....always amazed that mostly everything in garden comes back to life. I know, right? It's such a magical season! The last one is Twitter every day! 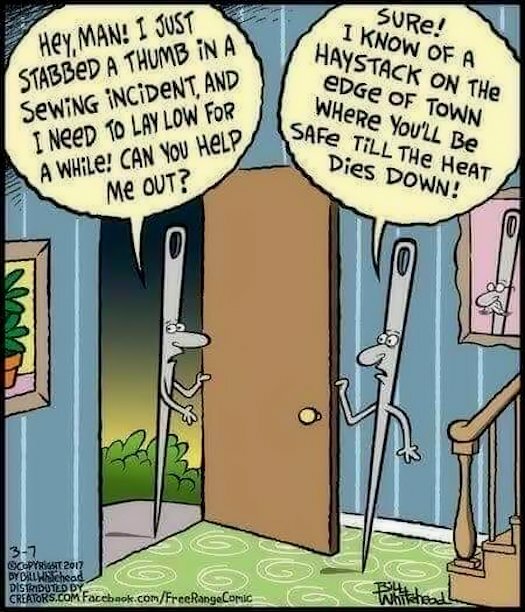 Thanks for the chuckles! The week has whizzed by, but your chuckles were as good today as when you posted them on Monday. There's no expiration date here! Drop by whenever you can. Have a wonderful weekend!